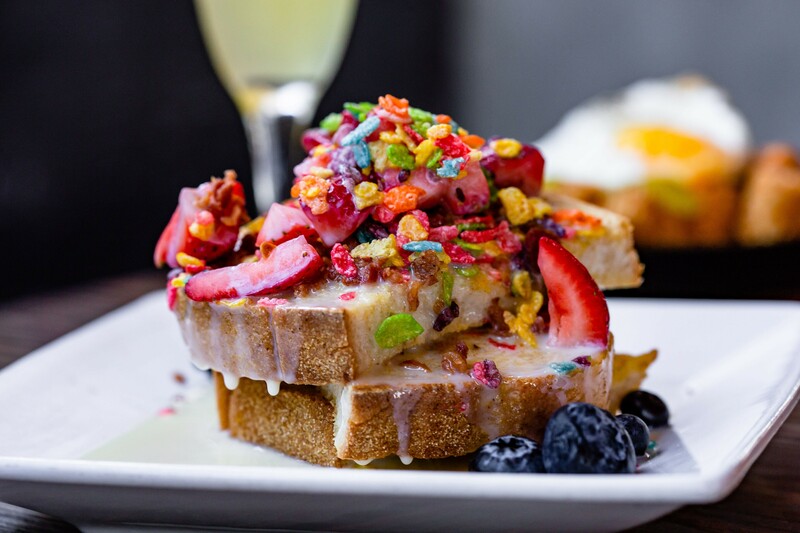 Fruity Pebbles French Toast at Bosscat Kitchen & Libations. Photo by Kirsten Gilliam. Bosscat Kitchen & Libations, the California-based whiskey concept with two inner-Loop locations in Houston, announced plans to open a third in the soon-to-launch District West retail and commercial center in Katy. District West is currently under development by Ferguson Family Partners on 100-acre lot adjacent to Westpark Tollway and Peak Road near Grand Parkway. 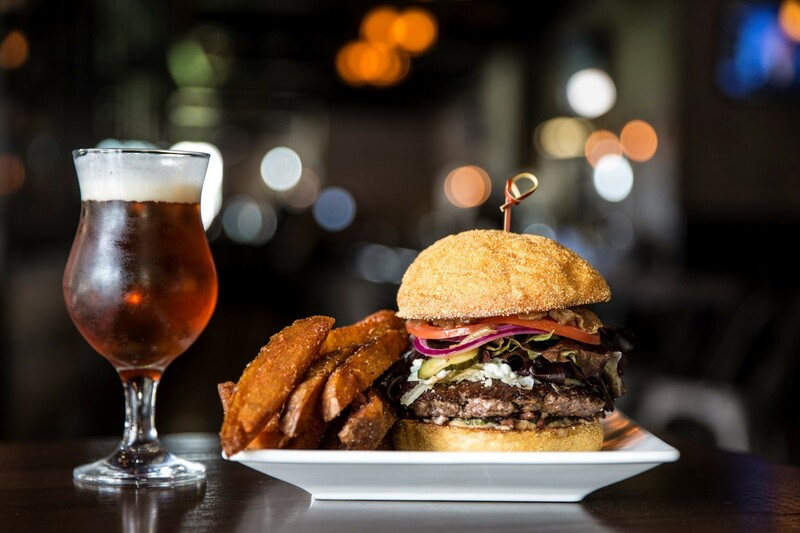 Bosscat Kitchen & Libations is a semi-upscale dining concept created by John Reed and co-owners Leslie Nguyen and Vinnie Capizzi with the help of chef Peter Petro. The group followed up on the first Houston-area Bosscat Kitchen restaurants with a more casual neighborhood concept in The Heights called BCK Kitchen & Cocktail Adventures. That makes the Katy restaurant the fourth the company has opened in the area overall. It is not slated to open until Fall of 2020 but is expected to be similar to the original Orange County and Westheimer locations. Like the others, it will feature executive chef Peter Petro’s menu of “refined American comfort” fare and award-winning whiskey program. The slightly smaller 5,000 sq. ft. bar and restaurant will seat 144 guests and feature an indoor/outdoor bar, as well as Bosscat’s signature private whiskey room. All of chef Petro’s menus, both at Bosscat and BCK, feature indulgent dishes inspired by childhood fare paired with extensive whiskey and cocktail menus.The bar’s impressive whiskey list features hundreds of whiskeys from around the world and was named “America’s Best Bourbon Bars” by the Bourbon Review three times. Dishes include Fruity Pebbles French Toast and the stacked Bosscat Burger with thick-cut house fries. These have helped the company gain a loyal following in its native Orange Country as well as get established in Houston. “We set out to bring an upscale, urban marketplace to West Houston,” says Corey Ferguson of Ferguson Family Partners, who reportedly pursued Bosscat quite aggressively during the past year. The District West development is currently under construction with plans to open a Star Cinema Grill in March of 2019. The completed district will be a mixed-use commercial and retail area with over 45,000 square feet of green space. The addition of Bosscat was critical to the development’s mission of exporting successful inner-loop businesses to the high-end suburban development. With that in mind, it is likely that the trend of well-established Houston restaurants opening Katy outposts is going to continue. Mark another win for the #Houston barbecue scene. Four restaurants in the area are on Daniel Vaughn's hot-off-the-presses "Top 25 New Barbecue Joints in Texas" list for Texas Monthly.